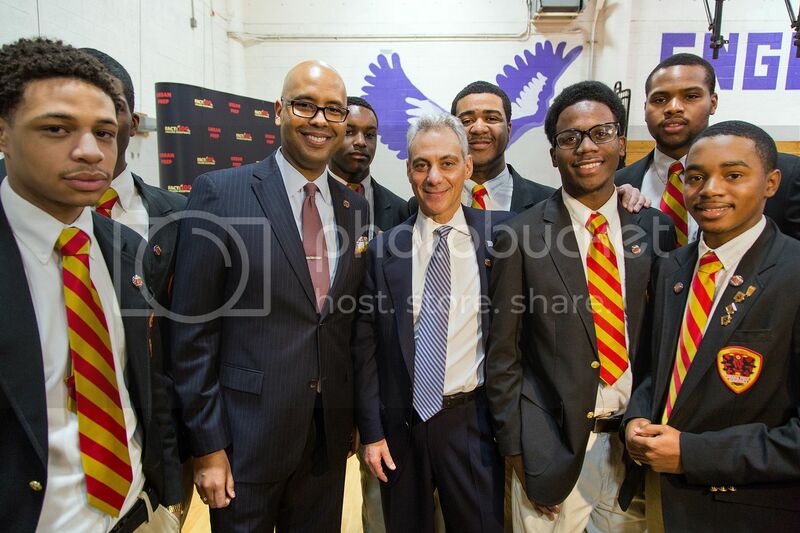 Tim King, founder, president and CEO of Urban Prep Academies with Chicago Mayor Rahm Emanuel and students. 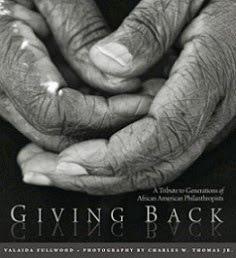 CHICAGO, IL - In 2002, Tim King along with a group of African American education, business and civic leaders founded Urban Prep Academies, a network of public college-prep boys’ schools and related programming, to improve the educational opportunities available to Chicago’s urban males. In 2005 the organization opened Urban Prep Charter Academy for Young Men – Englewood Campus, the country's first charter public high school for boys. Today, Urban Prep operates three schools that have received national recognition for graduating its students in a city where fewer than 40% of African American males finish high school. Read on to learn how Urban Prep accomplishes its success, Tim’s thoughts on Chicago’s youth violence epidemic and the organization’s new initiative funded by the Citi Foundation to support its alumni affairs program in this two-part blog series. Congratulations on a 100% college acceptance rate for the 2013 class of Urban Prep! As our nation's schools continue to face challenges graduating young men of color, how does Urban Prep accomplish this mighty feat? There’s no secret sauce to what we do. It truly is an earnest effort by a group of professionals who are dedicated to the organization’s mission. It starts with having clearly communicated expectations for the students, families and faculty. Within that, building a strong school culture that supports the mission and vision. At Urban Prep, our positive school culture is built upon four pillars—also known as our 4 R’s: Respect, Responsibility, Rituals and Relationships. Each of these plays a vital role in the overall academic success and social emotional development of our students and alum. Please share with us, what are your thoughts on the youth violence plaguing Chicago and other cities? How are your students responding? The circumstances and negative statistics surrounding youth violence, especially in the case of African American males, have reached crisis level. The Centers for Disease Control cite the leading cause of death among African American men between the ages of 15 and 24 is homicide. Last year, more people were killed in Chicago than in the U.S. military in Afghanistan. I was asked to give a testimony to Congress on violence and I’ve written on the subject, so it’s something that we are incredibly concerned about and focused on. But, I’m proud of the fact that our guys, who have to traverse the tough streets day-in and day-out, still make the choice to come to school (we have a 95% daily attendance rate). They choose non-violence over violence; they choose to believe in their future. Probably the best way to answer this question, however, is through an anecdote. Last summer, there was this boy who was shot twice in the chest. The facts said that as a Black boy in the ‘hood he was supposed to drop-out of school; supposed to end-up in jail; supposed to die a violent death. But this boy made the decision to defy the data. He refused to let the facts that made up others’ futures define his destiny. Instead, when he got out of the hospital, he returned to school and now is just a few weeks away from graduating from Urban Prep. The facts might have pointed him to a coffin, but he, like his Urban Prep classmates, is pointing himself to college. Urban Prep recently announced a $150,000 donation from the Citi Foundation to support your Alumni Affairs Program, Project GOLD. 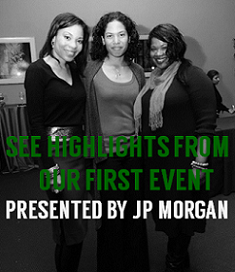 Tell our readers more about this project and its importance to the success of Urban Prep. Last month, an alliance of foundation heads and nonprofit leaders gathered in Chicago during the annual Council on Foundations conference to discuss issues facing boys and young men of color and pledged to take collective action. What would be your suggestions to the group as they begin to examine, recommend and support efforts at national, regional and local levels? My biggest suggestion would be for funders to talk to folks who are on the ground, running organizations that are focused on African American male achievement and determine what these organizations need in order to sustain their success. The focus shouldn’t be on reinventing the wheel, but rather finding ways to keep the wheels on organizations that are effectively serving Black males. How can readers support Urban Prep? Urban Prep Academies is a 501(c)(3) non-profit organization and as such, donations are tax-deductible (and greatly appreciated!). Visit www.urbanprep.org/donate to make a donation; www.urbanprep.org for more information on Urban Prep; and www.urbanprep.org/about/contact-us to contact us and sign-up for regular updates. The Urban Prep motto is We Believe. It’s important to always have faith and believe in people, but also you have to believe in your ability to positively affect the lives of others. Places like Urban Prep are what happen when We Believe.